Theseus's golden fight sword comes to life with this highly detailed replica. 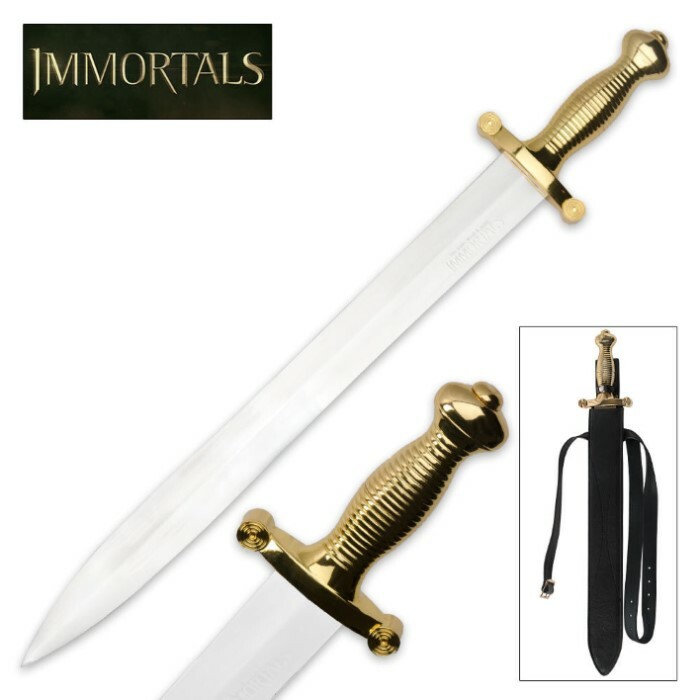 The polished, double edged blade is forged from 440 stainless steel and features an "Immortals" engraving with the battle cry, "The Gods Need a Hero". This accurate replica measures 19 in. overall, with a 5 3/4 in. handle, perfect for one handled wielding. 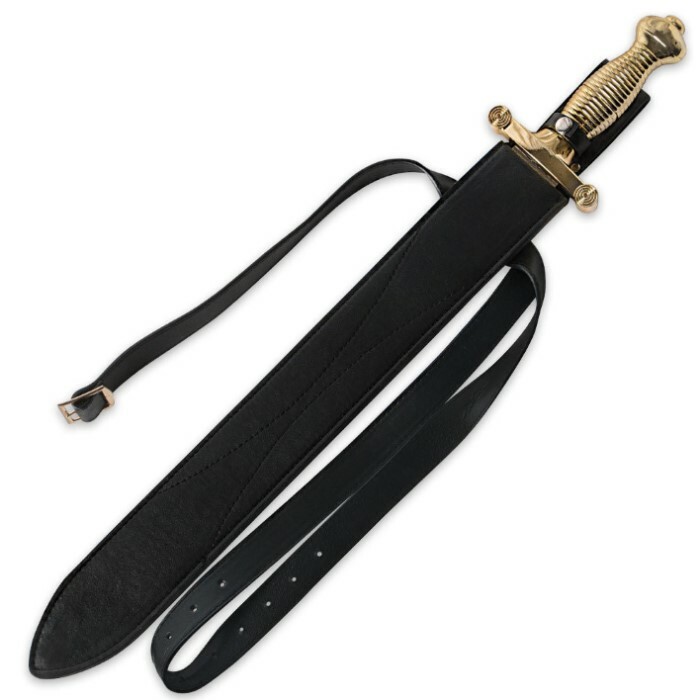 Includes black sheath.